On March 22, 2012, the United Nations Human Rights Council (UNHRC) adopted a resolution calling for “an independent international fact-finding mission, appointed by the President of the Council, to investigate the implications of the Israeli settlements on the civil, political, economic, social and cultural rights of the Palestinian people throughout the Occupied Palestinian Territory, including East Jerusalem.” This was one of five resolutions at the 19th UNHRC Session focused on allegations of Israeli violations (more than any other country); Israel is also the only country targeted by a permanent agenda item at the UNHRC. In response to this consistent violation of the universal human rights framework, the Israeli government announced an end to all contacts with the UNHRC. As with the 2009 UN Fact-Finding Mission on the Gaza Conflict (led by Judge Richard Goldstone), the 2002 pseudo-investigation on the basis of the “Jenin massacre” myth, and many other examples, this resolution reflects the role of non-governmental organizations (NGOs) working with the powerful Organization of Islamic Cooperation (OIC). This alliance was also responsible for the infamous UN Durban Conference, in which the NGO Forum adopted a strategy for the “complete isolation of Israel” using false allegations of “war crimes” and pseudo-investigations, and the one-sided 2004 International Court of Justice advisory opinion on Israel’s security barrier. Before the latest UNHRC session, the Ramallah-based Al Haq, funded by Norway, Ireland, and the NDC mechanism (joint funding from Sweden, Denmark, Switzerland, and the Netherlands) submitted a written statement on behalf of 11 Palestinian NGOs, lobbying for “a UN Fact-Finding Mission to investigate the widespread and systematic nature of Israel’s policies and practices that lead to the forcible transfer of the protected Palestinian population.” These NGOs include European-funded Palestinian activist groups, Al-Dameer, Al-Mezan , BADIL, and Defence for Children International-Palestine Section. Additionally, during the session, NGOs – Al-Haq, BADIL, Commission of the Churches on International Affairs of the World Council of Churches, International Federation for Human Rights Leagues (also on behalf of Palestinian Centre for Human Rights), and Nord-Sud XXI (North-South XXI) – made oral statements in support of the anti-Israel resolutions, using demonizing rhetoric and advancing a one-sided and biased agenda. These NGO statements ignore or contradict the Oslo framework, jointly negotiated between Israel and the Palestinians, which regulates the administration of the West Bank. European governments and the EU played a significant role in establishing and preserving the Oslo framework. As a result of this and similar campaigns, these NGOs and their European government sponsors share in the responsibility for the exploitation of the UNHRC as a framework for political warfare and discrimination against Israel. The attack on the embassy follows the Iranian parliament’s decision on Sunday to downgrade relations with Great Britain and expel the British ambassador. That vote was 179 in favor of downgrading relations, and four against with 11 abstentions. Importantly, the four parliamentarians who voted against the measure felt that the Iranian government should go even further and sever relations altogether. According to Iran’s semi-official Fars News Agency, the radical students carried placards with photographs not only of Majid Shahriari, an assassinated Iranian nuclear scientist, but also Qassem Suleimani, the head of the Qods Force. Suleimani is one of the Islamic Republic’s darkest figures responsible, according to American diplomatic cables, for running terror networks across Iraq, Afghanistan, and Lebanon. He is perhaps responsible for the deaths of hundreds of Americans and dozens of British troops. As the Islamic Revolutionary Guard Corps consolidates power inside Iran, Suleimani maintains an increasing chance to become president himself, as Iran’s hardline president Mahmoud Ahmadinejad finishes his second and last term. That radical Iranian forces would attack the British embassy should surprise no one. Iranian authorities have never apologized for the seizure of the American embassy 33 years ago. While American diplomats and United Nations officials toast Iran’s former reformist president Muhammad Khatami and his call for a “dialogue of civilizations,” prior to becoming president, Khatami penned a piece praising those who took American diplomats hostage. Not only did Khatami, who ironically was honored at St. Andrews University in Scotland just five years ago, never retract his endorsement of hostage-taking, but he appointed Masoumeh Ebtekar, the spokeswoman of the U.S. embassy captors, to be his vice president. Perhaps it is time to demand formal Iranian penance for the embassy seizure as a precondition to any diplomacy. Unfortunately, Western diplomats have conditioned Iran to expect rewards for its defiance. Former President Jimmy Carter and his coterie of aides may consider the Algiers Accords ending the hostage crisis to be a triumph of diplomacy, but they were in effect simply a ransom which rewarded cash-starved Iran for its hostage-taking. Ditto the Reagan administration’s poorly-conceived arms-for-hostages scheme. While some Reagan administration officials might argue that Iran did release hostages in exchange for weaponry and spare parts, no sooner had American officials offloaded the last shipment of military equipment, then kidnappers seized three more Americans. While the seizure of the British embassy is inexcusable, it was the British Foreign Office’s refusal to recognize Iranian insincerity that put its staff in danger. The British government initially suspended diplomatic relations with Iran after Ayatollah Khomeini ordered British author Salman Rushdie’s murder for allegedly committing blasphemy in his novel “The Satanic Verses.” The Foreign Office said it would not restore relations with the Islamic Republic until Tehran promised to do nothing to harm Rushdie. It took almost nine years, but eventually the Iranian government agreed. The day after the British ambassador returned, however, the Iranian leadership retracted its promise but the British, perhaps believing that the act of talking was more important than its result, decided to turn the other cheek. Germany, too, has faced threats to its embassy in Tehran. In 1992, soon after Germany embarked on an initiative to ply the Islamic Republic with diplomacy and trade, an Iranian death squad targeted Iranian dissidents meeting at a Berlin café, killing four Kurdish dissidents. Five years later, after hearing from 176 witnesses and reviewed intelligence documents, a German court found an Iranian intelligence agents and Hezbollah operative guilty, and further found that the order to commit the terror attack had originated at the very top of the Iranian government. Alas, the Germans also learned the wrong lesson. Over subsequent years, they redoubled their efforts to bring Iran in from the cold. Between 2000 and 2005, European Union trade with Iran almost tripled. International Atomic Energy Agency documents show that it was during this period that Iranian authorities pursued not only covert uranium enrichment capability, but also efforts to design nuclear warheads. One of the ironies of Khatami’s “Dialogue of Civilizations” is that it was during his tenure that Iran reaped a hard currency windfall from European trade and the rise of oil prices but, instead of investing in civilian infrastructure, applied the greatest proportion of that money to its nuclear and missile programs. Still, there might be a silver lining from Iran’s latest outrage at the British embassy. While Iranian leaders rhetorically belittle sanctions, the Iranian reaction to them indicates that the Iranian leadership is far more sensitive to international sanctions than they will ever admit. Tehran scarcely reacted when the United Nations Security Council designated specific companies and individuals involved in proliferation or Iran’s nuclear program, but as soon as London went after Iran’s Central Bank, Iranian officials reacted. They recognize their vulnerability. Should the West sanction Iran’s Central Bank effectively, neither Russia nor China can continue to do business with Iran. Security Council buy-in would be irrelevant. The attack on the British compound suggests that the Iranian government fears economic isolation much more than diplomatic isolation. Perhaps it is time to enforce both. Michael Rubin is a resident scholar at the American Enterprise Institute. He earned his Ph.D. in Iranian History at Yale University while doing research in Teheran. Follow him on Twitter@mrubin1971. Many analysts asked why Iran, which had huge oil and gas reserves, needs to invest in a program to produce electricity from nuclear reactors? Why did Iran need to build a huge infrastructure at Natanz to enrich uranium for nuclear reactors that it didn’t even have? And why did it keep this industry secret if it only had civilian applications? In February 2008, IAEA deputy director-general Ollie Heinonen gave a highly classified briefing in which he revealed Iranian documents that detailed how to design a warhead for the 1,300-kilometer-range Shahab-3 missile that had to be detonated at an altitude of 600 meters. A conventional explosion at that altitude would have no effect on the ground below, but 600 meters is the ideal altitude for a nuclear explosion over a city – as it was in Hiroshima in 1945. The November 2011 report showed that the IAEA no longer had “suspicions” about the Iranian weaponization program – it had hard intelligence from “more than ten Member States.” There was documentation in Farsi detailing the safety arrangements for conducting an actual nuclear test. The Iranians had also sought to obtain uranium for a secret enrichment program, that would not be under IAEA safeguards. Iran already has enough uranium on hand for at least four or five nuclear bombs, should it decide to further enrich its stock of low-enriched uranium. The November 2011 IAEA report provides the details for what the agency has long suspected – that Iran is determined to obtain nuclear weapons and the means to deliver them to target. Why Does Oil-Rich Iran Need Nuclear Fuel? The dramatic November 2011 report of the International Atomic Energy Agency (IAEA) comes after years that the agency has come close to concluding that Iran is seeking nuclear weapons without saying so explicitly. Since the Iranian nuclear program was first disclosed to the public in 2002, there have been growing suspicions that it had a military purpose, but no one could offer any definitive proof. Many analysts asked why Iran, which had huge oil and gas reserves, needs to invest in a program to produce electricity from nuclear reactors? Iran could have used its budgetary resources more effectively if it had invested them in its oil production infrastructure. Analysts also asked why Iran needed to build a huge infrastructure at Natanz to enrich uranium for nuclear reactors that it didn’t even have. After all, Russia had promised to supply enriched uranium for the sole reactor at Bushehr that it constructed specifically for the purpose of producing electricity. Moreover, many countries with nuclear reactors – such as Finland, South Korea, Spain, and Sweden – all imported enriched uranium. Why was Iran building an expensive uranium enrichment industry for itself? The limited size of the deposits in Iran’s uranium mines was too small for producing nuclear fuel for all of Iran’s electricity needs; Iran would have to import uranium in the future in any case. Finally, the question remained, why did it keep this industry secret if it only had civilian applications? Iran was forced to disclose its uranium enrichment facilities (as well as its heavy water reactor at Arak) because others made them public in the West in 2002 and again in 2009. While France already in 2006 accused Iran of developing a nuclear weapons program, Iran continued to make the case that its nuclear work had only civilian applications. Russian Foreign Minister Sergei Lavrov would always demand that his colleagues in the UN Security Council provide him with the proof that Iran had a military program. In the meantime, Russia and China always defended Iran in the Security Council and sought to water down the six resolutions the council adopted against Tehran. The U.S. apparently discovered the proof of the Iranian nuclear program back in 2004. Former U.S. ambassador to the UN John Bolton describes in his memoirs how Secretary of State Colin Powell decided to reveal that he had seen new American intelligence about Iranian efforts to fit a nuclear weapon into the warhead of a missile. But in the years that followed, the credibility of the U.S. to convince the world that Iran indeed wanted nuclear weapons was badly impaired when the Bush administration argued that Iraq had weapons of mass destruction and none were found by inspectors after the U.S. invasion and the toppling of Saddam Hussein. The importance of the reports of the International Atomic Energy Agency (IAEA) grew partly because of how the assessments of the U.S. were perceived in international circles after the Iraq War. In the case of Iraq, the IAEA argued right up to 2003 that Saddam no longer had weapons of mass destruction. If the IAEA, which was “dovish” on Iraq, would give “hawkish” assessments on Iran, then the world might listen. A critical turning point in the IAEA’s attitude to Iran occurred in February 2008 when its deputy director-general, Ollie Heinonen, gave a highly classified briefing to representatives of more than one hundred states. According to a description of the meeting reported by David Sanger of the New York Times, Heinonen displayed original Iranian documents that he stressed came from several member states of the IAEA – and not just from the U.S. Der Spiegel reported in June 2010 that the material came from a joint operation by German and American intelligence agencies that got hold of an Iranian engineer’s laptop computer. The IAEA had the international standing to authenticate U.S. intelligence reports for those who doubted their veracity. When the IAEA said they were true, many more states were willing to accept them. Sanger wrote that he believed that Heinonen hoped his classified briefing would leak – and it did. The Iranian documents detailed how to design a warhead for the 1,300-kilometer-range Shahab-3 missile, which had been operational in the Iranian armed forces since 2003. While the Iranian documents made no reference to a nuclear warhead, they did show the arc of a missile’s flight and that the warhead of the missile had to be detonated at an altitude of 600 meters. To the experts of the IAEA, a conventional explosion at that altitude would have no effect on the ground below. But 600 meters is the ideal altitude for a nuclear explosion over a city. Indeed, as Sanger notes in his book on this period, The Inheritance, 600 meters was the approximate altitude of detonation of the first atomic bomb that was used over Hiroshima in 1945. Heinonen did not yet say that the Iranians were making nuclear weapons, but he left his audience in Vienna with many questions they were not asking before. By May 2011, the IAEA had become far more explicit in its report on Iran than Heinonen had been. It raised its concerns about the “possible existence” of seven areas of military research in the Iranian nuclear program, the last of which was the most alarming: “the removal of the conventional high-explosive payload from the warhead of the Shahab-3 missile and replacing it with a spherical nuclear payload.” It should be remembered that the Shahab-3 missile has the range to strike Israel from Iranian territory. Back in May, the IAEA was not ready to say it had reached any conclusions. It only sought “clarifications” about its suspicions. Second, the material that the IAEA presented pointed clearly to the fact that Iran wanted to develop a deliverable nuclear weapon. There was documentation in Farsi detailing the safety arrangements that would have to be put in place for conducting an actual nuclear test. The Iranians had also sought to obtain uranium for a secret enrichment program, that would not be under IAEA safeguards. The uranium that would come out of this clandestine program would be further processed to produce the uranium metal required for a nuclear warhead. The planned warhead design also underwent studies that investigated how it would operate if it was part of a missile re-entry vehicle and had to stand up to the stress of a missile launch and flying in a ballistic trajectory to its target. The IAEA concluded that “work on the development of an indigenous design of a nuclear weapon including the testing of components” had been executed by the Iranians. That “indigenous design,” however, required external help. The IAEA report discloses that aspects of Iran’s nuclear weapons “design concept” came from a foreign country, presumably from a nuclear-weapon state. Third, the IAEA report provided further proof that Iran’s inventory of enriched uranium, which the agency monitored, was continuing to grow despite the reported damage caused to Iran’s centrifuges. Lately, it has been suggested that Iran’s centrifuges are operating less efficiently. If Iran had 839 kg. of low-enriched uranium, according to the June 2009 IAEA report, it had 2,427 kg. according to the May 2010 IAEA report. In September 2011 the IAEA report stated that Iran had enriched a total of 4,543 kg. of low-enriched uranium. The November report put that number at 4,922 kg. If all Iran requires is a little over 900 kg. of low-enriched uranium to produce sufficient weapons-grade uranium for a single bomb, then Iran already has enough uranium on hand for at least four or five nuclear bombs, should it decide to further enrich its stock of low-enriched uranium. Iran’s smaller stock of 20 percent enriched uranium also continued to grow, albeit in smaller quantities. Finally, it is important to recall when reviewing this information that at the end of 2007, the U.S. published the “key judgments” of its National Intelligence Estimate (NIE) on Iran. That document asserted with “high confidence” that Iran had halted the weaponization component of its nuclear program back in 2003. The release of that declassified summary caused enormous diplomatic damage at the time, undercutting the effort to pressure Iran. The November 2011 IAEA report shows how wrong the 2007 NIE document was. The later report specifically says, “some activities relevant to the development of a nuclear explosive device continued after 2003, and that some may be ongoing.” The IAEA also reports on “modeling studies” that were undertaken by the Iranians in 2008 and 2009 that investigated how a high-enriched uranium nuclear device would respond to “shock compression.” They also looked at the “nuclear explosive yield” of these devices during this period. Roughly five years have passed since the UN Security Council took up the Iranian nuclear issue and adopted its first resolution demanding that Tehran halt its uranium enrichment program. The new IAEA report should be used to ratchet up the sanctions on Iran. But it is doubtful that even with this new information, there will be a sufficient consensus at the Security Council for decisive measures that might cause Iran to change the course it has decided upon. The Centre for Israel and Jewish Affairs commends Canada’s principled vote against the motion to grant the Palestinians statehood status at the United Nations Educational, Scientific and Cultural Organization (UNESCO). The vote took place October 31st during UNESCO’s General Meeting in Paris. The motion to admit the Palestinians passed with 107 votes in favor, 14 against and 52 abstentions. The United States, Canada and Germany voted against Palestinian membership. Brazil, Russia, China, India, South Africa and France voted in favor. Britain abstained. This development has serious and wide-ranging implications with the potential to seriously derail future peace negotiations. Already, the Palestinians, emboldened by their success at UNESCO, have indicated that they will be seeking full state status in a number of other UN bodies. The Palestinian action at UNESCO is part of a broader campaign that began in September when it sought statehood status at the UN Security Council (UNSC) and in UN General Assembly (UNGA). The UN Security Council will vote next month on whether to grant the Palestinians full UN membership. In effect, the Palestinians are trying to confer upon themselves statehood without negotiating with Israel. 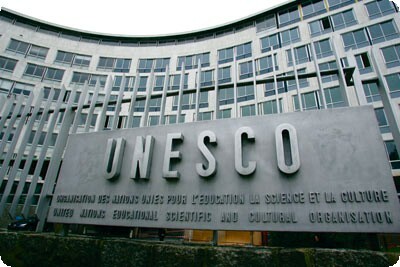 While acknowledging the action taken by the American government to suspend funding to UNESCO, The Centre believes that Canada has to carefully consider whether at this stage withdrawing its funds from UNESCO advances Canadian interests. At a minimum, however, Canada should ensure that Canadian funding within UNESCO is not used in a politicized manner detrimental or prejudicial to the Jewish historical sites in Israel, or Judea and Samaria (West Bank). In addition, Canada should reject any budgetary requests from UNESCO to compensate for the loss of American funding. The fact that Israel is holding training sessions seen as practical preparations for striking Iran’s nuclear sites is no secret. Anyone following the intensive drills held by the Air Force in the Mediterranean and in distant regions, ranging from Romania to Sardinia, realizes that Netanyahu’s and Barak’s declarations that Israel will not tolerate nuclear arms in Iranian hands is backed up by practical capabilities developed by the Air Force and by our military industries. Based on the raging public discourse in recent days, we can estimate that a military option is available. No less importantly, the international community and the Iranians fully realize that Israel’s top politicians are seriously considering such strike in order to curb or at least delay the Iranian race to the bomb. This is assuming there is no non-military, efficient option to secure this aim. Meanwhile, the former IDF chief of staff, Mossad director and Shin Bet head, as well as the current ones, and some of our top ministers are also not rejecting the possibility of a strike out of hand. However, the above scenario is still relatively far off, as according to all estimates the Iranians are not expected to complete their preparations to produce nuclear weapons before 2015. Until that time, harsh global sanctions could force the Iranian leadership to accept a deal with the West that would delay the military nuclear program. Other possible scenarios include an Iranian revolution that would disrupt the Ayatollahs’ plans, or an American and allied decision to curb Iran’s nuclear program by force in order to avert Mideastern instability. Under such circumstances, Israel would be able to join a coalition that strikes Iran without being isolated internationally. According to strike objectors in Israel, we must not attack on our own. However, Netanyahu and Barak believe that we must not wait until it’s too late. At this time already, according to the British Guardian, the Iranians are vigorously building deep underground bunkers and long cement tunnels. These shelters are gradually becoming home to new uranium enrichment facilities, nuclear labs, and ballistic missiles. Barak and Netanyahu argue that the Iranian response would not be as terrible as predicted and that Iran would settle for a measured response to a strike – either because Hezbollah and Hamas won’t rush to comply with Tehran’s wishes or because the Ayatollahs would fear a wide-scale confrontation that would inflict greater damage and destruction, including on Iranian oil fields. At this time, there is apparently no decision on a strike yet. The reason for this is not only the resistance of ministers and senior IDF and intelligence officials, but also America’s objection. Washington fears that Iran’s response to an Israeli strike would harm US allies in the Persian Gulf and destabilize them. Oil production and transport could also be disrupted. Another possibility would see Iran’s terror emissaries targeting US citizens and troops in the Middle East and beyond. Hence, the Bush Administration, as does Obama, objected to an independent Israeli operation in Iran. The Americans are also concerned that Israel is about to embark on an operation without coordination with Washington. “Nobody would believe that you operated without coordinating it with the US, and hence, as we too would sustain damages, we demand at least an advance warning,” said a senior American official who recently visited Israel. The new American Defense Secretary, Leon Panetta, apparently felt that something is brewing in Netanyahu’s and Barak’s kitchen vis-à-vis Iran and came to Israel a few weeks ago in order to avert a move that contradicts US interests. He also spoke publicly and said that decisions on the Iranian front must be taken in cooperation and coordination between Jerusalem and Washington. While Army Chief Benny Gantz is believed to endorse the view that an Israeli strike should be taken in coordination – and if possible in conjunction – with the US, some political leaders hold different views. They believe that Israel should not coordinate such strike with the Americans so that the Arabs and Muslims won’t blame Washington for cooperating with Israel in striking a Muslim state. These politicians believe that the Americans would secretly thank us if we make do with a brief warning shortly before a strike is carried out. On this front too, no decision has been taken yet in Israel. The lively public debate on the issue grants more credibility to the Israeli strike threat. It illustrates to the world that Israeli officials are well aware of the difficulties inherent in an Iran strike and of the heavy price that the Ayatollahs’ response would exact from Israel, regional countries and the international community. However, the heavy price and even the objection to a strike among top security officials do not deter our top decision-makers, Netanyahu and Barak. The objection to a strike is in itself also an important signal to Washington, Moscow and Beijing – either you stop the Iranian race to the bomb through truly painful sanctions on Iran but with minimum damage for us and for you, or we shall be forced to act, and then all of us shall pay a heavy price. This signal is important because the West intends to soon utilize a series of drastic pressure levers against Iran. The first one is full publication of the grave findings gathered by the International Atomic Energy Agency. The report has been available for a while now but has been shelved for political reasons. Iran is aware of its existence and fears it because it paves the wave for greater pressure: A Security Council decision to impose yet another package of sanctions that would deliver a grave blow to the Iranian economy. This would entail boycotting Iran’s central bank and imposing an embargo on the importation and exportation of oil products. The effect of such sanctions could directly threaten the regime’s survival, hence prompting Iran – with China’s and Russia’s help – to undertake an immense diplomatic effort to prevent the IAEA report’s publication. Should it be published, Iran wants Russia and China to use their veto power to avert dramatic sanctions. The public debate that erupted in Israel, just like the publication of the Air Force drill in Italy, remind the US, Russia and China that should effective sanctions not be imposed, the world may have to deal with the graver implications of an Israeli strike. Another strategic Israeli target is to make it clear to Iran’s leadership, and mostly to supreme leader Ali Khamenei, how substantial the threat of attack is. It is unlikely that Iran would abandon its nuclear program for fear of an Israeli strike, yet this fear will prompt Iranian efforts to hide the sites and missiles related to the military program and fortify them. These efforts require time and resources and therefore would almost certainly slow down the pace of Iran’s nuclear work and bomb’s development. IMPACT-SE report uncovers continued demonization of Israel and Jews in Palestinian textbooks. The Palestinian Authority does not meet the UNESCO recommendations for becoming a full member in the international organization, according to a study published on Monday by IMPACT-SE – the Institute for Monitoring Peace and Cultural Tolerance in School Education. IMPACT-SE is a research organization that monitors and analyzes schoolbooks and curricula across the Middle East with an eye toward determining their compliance with international standards on peace and tolerance, a goal derived directly from UNESCO declarations and resolutions. “The monitoring of the Palestinian schoolbooks in use for the school year 2011 shows that the fundamentals against Israel and the Jews are upheld,” the study concluded. It said that the fundamentals included negating both Israel and the Jews. Israel, for example, is not mentioned among the states of the Levant (which presently consists of the states of Israel, Jordan, Lebanon and Syria as well as the Palestinian territories) and Jewish holy places are never mentioned as such. For instance, Rachel’s Tomb in Bethlehem is presented as the Bilal bin Rabah Mosque. According to the study, the Jewish and Hebrew identity of Palestine under the British Mandate is stricken out. One illustration twists a stamp of Palestine under the British Mandate by erasing the Hebrew term ERETZ ISRAEL PALESTINA. The study also found that there was continued demonization of both Israel and the Jews in the books. Jews are described, among others, as violating treaties, getting rich unduly, deceitful, murdering children, disemboweling women and invading snakes. They are never presented in neutral or positive terms. The study quotes the following examples from the Palestinian schoolbooks: “The Messenger of God [Muhammad] ordered Zayd Ibn Thabit to learn the language of the Jews in order to be safe from their cheating,” History of the Arabs and Muslims, Grade 6, (2009), page 133; “Your enemies killed your children, split open your women’s bellies, held your revered elderly men by the beard, and led them to the death pits,” Reading and Texts, Grade 8, Part 2,  (reprinted 2007), page 16; and “By your life! How come snakes invade us and we [still] observe a protection covenant [dhimma] which respects commitments?” Arabic Language– Linguistic Sciences, Grade 12, (2010), page 61. “The Oslo accords and the Declaration of Principles are mentioned and even quoted, but they are not praised and a peacefully negotiated settlement is not advocated or supported,” said the authors of the study. The Palestinian Authority scored a major victory today in its campaign to secure international recognition as the government of an independent “Palestine” when UNESCO voted to admit it as a member state. But the actual Palestinian state — the one in Gaza where the Hamas terrorist group exercises virtually untrammeled sovereignty — gave the world another reminder of what such statehood actually means this weekend when it showered southern Israel with a barrage of missiles. One Israeli, 56-year-old Moshe Ami of Ashkelon was murdered in one of the attacks. Ami’s death and the ongoing missile fire from Hamas and allied Islamist groups such as Islamic Jihad is being treated as just another one of those boring “cycle of violence” stories in most of the mainstream media in which the lead is as often as not about Israeli retaliation strikes aimed at silencing the missile fire. The focus of international diplomacy is, as always, the restoration of a meaningless cease-fire between Hamas and Israel that will last until the next time the rulers of Gaza feel like sending a message to Jerusalem. But the real message here is one that few are heeding. Palestinian independence in Gaza has only meant one thing: the right of terrorists to shoot at Jews with impunity. The rocket attacks continued Monday night with more rockets landing in southern Israel though one was intercepted by the Iron Dome missile defense system. 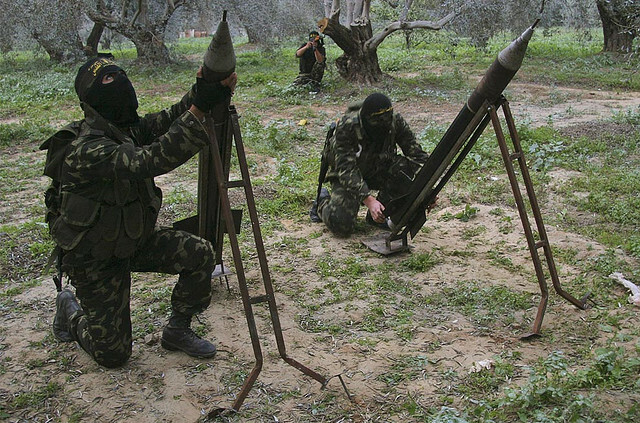 As was the case when fire from Gaza was at its height before Israel’s counter-offensive in December 2008, casualty figures caused by these rockets have been small but incessant. Though Israel still retains the ability to hit back hard against those firing the rockets, there is no escaping the fact that so long as Hamas governs Gaza there is no real hope of ending these attacks once and for all. Israel has no desire to resume the governance of Gaza from which it withdrew completely in August of 2005 only to see the area become a secure missile-firing platform. Nor do the majority of Israelis have any wish to go on controlling areas of the West Bank where most Palestinians live. But those who harp on the evils of the “occupation” or speak of forcing more Israeli territorial withdrawals to save the country from itself rarely consider the consequences of what de facto (if not de jure) Palestinian independence in Gaza has meant to Israel. The Hamas state in Gaza is a heavily armed terrorist regime that has never hesitated to project force against Israeli targets in order to score political points with a Palestinian political culture that still equates violence with credibility. Further empowering the PA and its Fatah leadership does nothing to quell that violence or to silence the rockets or attempts to duplicate Hamas’s successful kidnapping of Gilad Shalit. Israel’s critics must stop ignoring Gaza and its rockets when they speak of the need for Palestinian self-determination. So long as Palestinian independence is solely expressed via terrorism, the notion of an end to the conflict is purely theoretical. That’s the clear lesson that the actual Palestinian state — as opposed to the pretend one that Fatah pretends to lead — has been teaching us again this week. THE Palestinian Authority’s request for full United Nations membership has put hope for any two-state solution under increasing pressure. The need for reconciliation between Israelis and Palestinians has never been greater. So it is important to separate legitimate criticism of Israel from assaults that aim to isolate, demonize and delegitimize it. The mutual recognition and protection of the human dignity of all people is indispensable to bringing an end to hatred and anger. The charge that Israel is an apartheid state is a false and malicious one that precludes, rather than promotes, peace and harmony. Richard J. Goldstone, a former justice of the South African Constitutional Court, led the United Nations fact-finding mission on the Gaza conflict of 2008-9. September is here in the midst of the “Arab Spring”, the month that I have been writing about and speaking about on my radio show for months. The Palestinian Authority (PA) has entered its application for Statehood with General Ban Ki-moon and the UN. The announcement came from PA President Mahmoud Abbas as he addressed the UN this past Friday. Why the “President” of a non-existent country should even allowed to address the UN can be answered with two words: Yasser Arafat. On October 14, 1974, the United Nations invited Yasser Arafat, then Chairman of the Palestine Liberation Organization, to address the General Assembly, pursuant to General Assembly resolution 3210. Arafat was the first representative of a non-governmental organization to address a session of the UN General Assembly. He was also the first leader to address the UN while wearing a holster, although contrary to stories, it did not contain a gun. Not long after, the PLO was given observer status and the UN recognized the rights of the Palestinians to self-determination in Resolutions 3236 and 3237. Yes, the PLO, the same organization that spawned such groups as Fatah, Black September, Tanzim and Al Aqsa Martyrs Brigade. The same organization that was responsible for hundreds of bombings, hijackings, assassinations as well as other known terror acts. These included the killing of the 11 individuals that made up the entire Israeli Olympic team and their coaches in Munich in 1972, the murder of Cleo Noel, American ambassador to Sudan, in 1973, as well as the 1985 hijacking of the Achille Lauro cruise ship which resulted in the murder of wheelchair-bound Leon Klinghoffer. What I consider to be an important side note, the Al Aqsa Martyrs Brigade also claimed responsibility for the November 1975 bombing in Jerusalem, an attack that I survived and which claimed the lives of 7 children. We aspire for and seek a greater and more effective role for the United Nations in working to achieve a just and comprehensive peace in our region that ensures the inalienable, legitimate national rights of the Palestinian people as defined by the resolutions of international legitimacy of the United Nations. During the Six Day War in 1967 Israel captured land through battles and bloodshed. That land later became known as the West Bank and the Gaza Strip. But whose land was this? Was this a state or country known as Palestine? No. The West Bank was part of Jordan and the Gaza Strip was part of Egypt. That was not the only land that Israel captured. In addition they captured the Golan Heights which was a part of Syria. So why are the so-called Palestinians not also asking for the Golan Heights? Because the Golan was never a refugee camp of displaced people. On December 9, 1917, as the First World War was winding down, Jerusalem surrendered to the British forces. Two days later General Allenby entered Jerusalem. This marked the end of four centuries of Ottoman-Turk rule (the Ottoman Empire) and the beginning of thirty years of British rule, otherwise known as the British Mandate. To put it in to simple terms, the territories would be entrusted to advanced nations until such time as the local population could handle their own affairs. This was all incorporated into the Treaty of Versailles on June 28, 1919. At the end of the British Mandate, on November 29, 1947, the UN General Assembly, by a two-thirds vote (33 to 13 with Britain and nine others abstaining) passed Resolution 181 partitioning Palestine into two states, one Jewish and one Arab. Yes, that is fact. One Jewish, which would later become Israel, and one Arab. The Jews of Palestine accepted this partition despite the small size and strategic vulnerability of the proposed state. Additionally this proposed territory was one tenth of the original size that had been promised as a Jewish homeland. As soon as the vote was announced, the Arab delegations of Egypt, Iraq, Lebanon, Pakistan, Saudi Arabia, Syria, and Yemen stormed out, threatening war and the annihilation of all Palestinian Jews. The Arab national movement in Palestine, as well as all of the other Arab states, rejected any partition. They demanded the entire country and threatened to resist the partition by force. At the end of World War I, the League of Nations as the mandate for Palestine and Transjordan awarded the territory now comprising Israel, Jordan, the West Bank, Gaza, and Jerusalem to the United Kingdom. In 1922, the British divided the mandate by establishing the semiautonomous Emirate of Transjordan. It must be stressed here that the White Paper (also known as the Churchill White Paper) stated that the Balfour Declaration could not be amended and that the Jews were in Palestine by right. It partitioned the area of the Mandate by excluding the area east of the Jordan River from Jewish settlement. The land was 76% of the original Palestine Mandate land. It was renamed Transjordan and was given to the Emir Abdullah by the British. A British memorandum that was presented to the League of Nations on September 16, 1922, stated that the provisions of the Mandate document calling for the establishment of a Jewish national home were not applicable to the territory known as Trans-Jordan, thereby severing almost 80% of the Mandate land from any possible Jewish Homeland. It amazes me that the world forgets the fact that the Arab demands for a state or a “Palestine” were already satisfied once, it’s called Jordan. The British divided the mandate establishing Trans-Jordan, but that is also how the West Bank and its “refugees” enter the picture. In 1950, the country was renamed the Hashemite Kingdom of Jordan to include those portions of Palestine annexed by King Abdullah. While recognizing Jordanian administration over the West Bank, the United States maintained the position that ultimate sovereignty was subject to future agreement. “The armistice agreements of April 3, 1949 left Jordan in control of the West Bank”, so, the West Bank was part of Jordan from 1949 until 1967. It was during this time period that Jordan set up “refugee camps” for the Palestinians because they were not “Jordanians”. At the time, the population east of the Jordan River contained over 400,000 Palestinian refugees who made up one-third of the population of the Kingdom; another third of the population was Palestinians on the West Bank. Only one third of the population consisted of the original inhabitants of Trans-Jordan, which meant that the Jordanians had become a ruling minority over a Palestinian majority. This proved to be a mercurial element in internal Jordanian politics and played a critical role in the political opposition. Since the 1950s, the West Bank had become the center of the national and territorial aspects of the Palestinian problem that was the key issue of Jordan’s domestic and foreign policy. According to King Hussein, the Palestinian problem spelled “life or death” for Jordan and would remain the country’s overriding national security issue. In reality, the West Bank was Jordan, yet Jordan is not asking Israel for that area back. That is because in 1988, Jordan renounced all claims to the West Bank. It did not want to deal with the “Palestinian” issue yet again. The same holds true for the Gaza Strip, once an area belonging to Egypt. Once again, we must look at the UN 1947 partition plan. The United Nations 1947 partition plan allotted the coastal strip from Yavneh to Rafiah on the Egyptian border to be an Arab state. But remember the Arabs rejected that offer. In 1948 before the Arabs attacked the newly formed Israel, most Arab inhabitants in Gaza fled or were expelled, settling around Gaza City. The Israeli Defense Forces captured Gaza in 1948, but Israel gave control of the Gaza Strip to Egypt in negotiations, keeping the towns of Ashdod and Ashkelon. In 1956, Israel again went to war with Egypt and captured Gaza yet again, only to return it again. When Israel returned the entire Sinai Peninsula to Egypt as part of their peace agreement in 1979, Egypt refused to take the Gaza Strip back. Again, these “people” were not really Egyptians and therefore were not wanted. These are the facts and they had to be explained. Too many people have no clue how we have gotten to this point. As clear as Netanyahu’s speech was, it did not explain the facts leading up to today. We withdrew from Lebanon in 2000 and from every square inch of Gaza in 2005. That didn’t calm the Islamic storm, the militant Islamic storm that threatens us. It only brought the storm closer and made it stronger. Now, some argue that the spread of militant Islam, especially in these turbulent times — if you want to slow it down, they argue, Israel must hurry to make concessions, to make territorial compromises. And this theory sounds simple. Basically it goes like this: Leave the territory, and peace will be advanced. The moderates will be strengthened; the radicals will be kept at bay. And don’t worry about the pesky details of how Israel will actually defend itself; international troops will do the job. These people say to me constantly: Just make a sweeping offer, and everything will work out. You know, there’s only one problem with that theory. We’ve tried it and it hasn’t worked. In 2000 Israel made a sweeping peace offer that met virtually all of the Palestinian demands. Arafat rejected it. The Palestinians then launched a terror attack that claimed a thousand Israeli lives. Hezbollah and Hamas fired thousands of rockets against our cities from the very territories we vacated. See, when Israel left Lebanon and Gaza, the moderates didn’t defeat the radicals; the moderates were devoured by the radicals. And I regret to say that international troops like UNIFIL in Lebanon and UBAM in Gaza didn’t stop the radicals from attacking Israel. We left Gaza hoping for peace. We didn’t freeze the settlements in Gaza, we uprooted them. We did exactly what the theory says: Get out, go back to the 1967 borders, dismantle the settlements. But ladies and gentlemen, we didn’t get peace. We got war. We got Iran, which through its proxy Hamas promptly kicked out the Palestinian Authority. The Palestinian Authority collapsed in a day — in one day. The Jewish state of Israel will always protect the rights of all its minorities, including the more than 1 million Arab citizens of Israel. I wish I could say the same thing about a future Palestinian state, for as Palestinian officials made clear the other day — in fact, I think they made it right here in New York — they said the Palestinian state won’t allow any Jews in it. They’ll be Jew-free — Judenrein. That’s ethnic cleansing. There are laws today in Ramallah that make the selling of land to Jews punishable by death. That’s racism. And you know which laws this evokes. Ladies and gentlemen, last year in Israel in Bar-Ilan University, this year in the Knesset and in the U.S. Congress, I laid out my vision for peace in which a demilitarized Palestinian state recognizes the Jewish state. Yes, the Jewish state. After all, this is the body that recognized the Jewish state 64 years ago. Now, don’t you think it’s about time that Palestinians did the same? He explained the fact that the problem is not settlements while pointing out with Abbas’s very own words that the issue is Israel and not the “territories”. President Abbas just stood here, and he said that the core of the Israeli-Palestinian conflict is the settlements. Well, that’s odd. Our conflict has been raging for — was raging for nearly half a century before there was a single Israeli settlement in the West Bank. So if what President Abbas is saying was true, then the — I guess that the settlements he’s talking about are Tel Aviv, Haifa, Jaffa, Be’er Sheva. Maybe that’s what he meant the other day when he said that Israel has been occupying Palestinian land for 63 years. He didn’t say from 1967; he said from 1948. I hope somebody will bother to ask him this question because it illustrates a simple truth: The core of the conflict is not the settlements. The settlements are a result of the conflict. In two and a half years, we met in Jerusalem only once, even though my door has always been open to you. If you wish, I’ll come to Ramallah. Actually, I have a better suggestion. We’ve both just flown thousands of miles to New York. Now we’re in the same city. We’re in the same building. So let’s meet here today in the United Nations. Who’s there to stop us? What is there to stop us? If we genuinely want peace, what is there to stop us from meeting today and beginning peace negotiations? I am sad to report the fact that, once again, Abbas has failed to respond. FamilySecurityMatters.org Contributing Editor Gadi Adelman is a freelance writer and lecturer on the history of terrorism and counterterrorism. He grew up in Israel, studying terrorism and Islam for 35 years after surviving a terrorist bomb in Jerusalem in which 7 children were killed. Since returning to the U. S., Gadi teaches and lectures to law enforcement agencies as well as high schools and colleges. He can be heard every Thursday night at 8PM est. on his own radio show “AmericaAkbar” on Blog Talk Radio. He can be reached through his website gadiadelman.com. Mahmoud Ahmadinejad is not a world leader worthy of the world stage. He is the evil leader of an Iranian death cult. A new U.N. report indicates that he is making progress in building nuclear weapons. He has predicted the arrival of the Twelfth Imam and called for wiping Israel “off the map.” He aspires to be a mass murderer beyond the scale of history’s great dictators. He deserves to be in prison, or an insane asylum. His speech on Thursday before the United Nations General Assembly was further proof, if any more were needed. Did you see Ahmadinejad’s apocalyptic address, or read the full text? You should. It’s instructive. Unfortunately, you won’t find Ahmadinejad’s full speech reprinted in the major newspapers. It was pitifully covered by the mainstream media. It should have been carefully analyzed. This movement is certainly on its rightful path of creation, ensuring a promising future for humanity. A future that will be built when humanity initiates to [tread] the path of the divine prophets and the righteous under the leadership of Imam al-Mahdi, the Ultimate Savior of mankind and the inheritor to all divine messengers and leaders and to the pure generation of our great Prophet. The creation of a supreme and ideal society with the arrival of a perfect human being who is a true and sincere lover of all human beings, is the guaranteed promise of Allah. He will come alongside with Jesus Christ to lead the freedom and justice lovers to eradicate tyranny and discrimination, and promote knowledge, peace, justice, freedom and love across the world. He will present to every single individual all the beauties of the world and all good things which bring happiness for humankind. Israeli prime minister Benjamin Netanyahu understands what Ahmadinejad means. So do some of his top military advisers. That’s why they believe Iran is in the eye of a gathering storm in the Middle East, and the chance of a major war is growing. What is the world doing to neutralize the Iranian threat? Precious little. Yes, some world diplomats walked out of Ahmadinejad’s speech. Big deal. They walked softly, but where is the big stick? Yes, the world has passed some economic sanctions. So what? The sanctions may be making Iran’s nuclear program more complicated, but as the recent IAEA report indicates, they are not fundamentally changing the equation or stopping the bomb-building process. Why isn’t the world taking decisive action to stop Iran from building, buying, or stealing nuclear weapons and the ballistic-missile systems to deliver them? Time is running out. 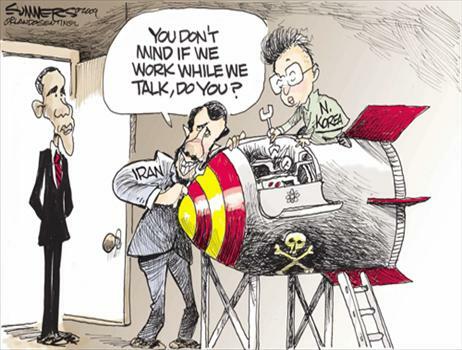 Once Iran has the Islamic bomb, does anyone really believe they won’t use it against the U.S. and Israel, either directly or through terrorist surrogates? Instead of stopping Iran from getting the bomb, however, the leaders of the world — including President Obama — are hyper-focused on pressuring Israel to divide Jerusalem, divide the Land of Israel, and allow for the creation of a corrupt and dangerous Palestinian state co-led by the missile-firing Hamas terrorist group. To be sure, the Israeli-Palestinian issue is an important one, and it should be treated seriously and carefully. But it’s not the most important issue in the Middle East today. The murderous, apocalyptic Iranian regime and its race for nuclear weapons is Issue No. 1, 2 and 3. My forthcoming political thriller, The Tehran Initiative, is about what could happen if the world doesn’t take decisive action soon. What if Iran gets the bomb? What if Iran’s leaders are about to use nuclear weapons? What if Israel launches a preemptive military strike against Iran? What would the world look like, and what would the current — or future — American president do? Such questions, I think, make for chilling fiction. Unfortunately, the scenario is all too real. Ahmadinejad’s apocalyptic address just made that abundantly clear. It was the most blistering attack on the U.S., Israel, Europe, and the West he’s ever delivered at the United Nations. Every year Ahmadinejad feels more and more emboldened because he says the most evil and sickening things but the world takes no action to stop him. Shame on such world leaders. They are leading us down a very dangerous path. — Joel C. Rosenberg is a former senior aide to Israeli prime minister Benjamin Netanyahu and the author of eight New York Times best-selling books about the Middle East. His latest book, The Tehran Initiative, releases October 18th. UNITED NATIONS — Evidently heedless of American attempts to engineer a thaw in Turkish-Israeli relations, Prime Minister Recep Tayyip Erdogan of Turkey used his appearance before the annual General Assembly on Thursday to enumerate a long list of grievances with Israel, a former regional ally. Mr. Erdogan was the second major Middle Eastern leader addressing the General Assembly, with the widespread focus on the region’s most intractable problem, the Israeli-Palestinian conflict, due to culminate Friday with speeches by Prime Minister Benjamin Netanyahu of Israel and President Mahmoud Abbas of the Palestinian Authority. Representatives of the so-called quartet — the United States, the United Nations, the European Union and Russia — were still trying late Thursday to reach an agreement on a statement about moving peace negotiations forward, intended to counterbalance the controversial proposal for United Nations membership that Mr. Abbas has vowed to present. The future of the Quartet could be at risk, some diplomats suggested, with the Americans and the Europeans, close to an agreement, ready to abandon the other two members and issue a statement by themselves. It could go down to the very moment after the Netanyahu and Abbas speeches, the diplomats said. At the General Assembly, a couple of hours before Mr. Erdogan spoke, Iran’s president, Mahmoud Ahmadinejad, delivered one of his characteristic anti-Western broadsides, embroidered with tinges of religious mysticism. He blamed the United States, Israel and Europe for the global recession and a list of other ills. He also suggested that the American military’s killing of Osama bin Laden last May and the disposal of his body at sea were part of a dark conspiracy to conceal the real perpetrators of the Sept. 11 attacks. Mr. Ahmadinejad’s remarks provoked what has become a ritual large-scale walkout of delegations, led by the United States. Mr. Erdogan, describing the Israeli-Palestinian conflict as a “bleeding wound” that the international community can no longer accept, accused Israel of thwarting all attempts to solve the problem. From nuclear weapons to control of the occupied territories to humanitarian aid, Mr. Erdogan said, Israel has contradicted the wishes and norms of the rest of the world. “If you want to send a box of tomatoes to Palestine, this is subject to approval from Israel, and I don’t think that is humanitarian,” Mr. Erdogan said, suggesting that the new spirit of change in the Middle East meant Israel could no longer continue to foster strife. The Turkish leader repeated a drumbeat of accusations against the Israelis that he has leveled for months, and there was no immediate reaction from Israel. The tension is rooted in differences over the Gaza Strip, particularly a May 2010 raid by the Israeli military on a Turkish-organized flotilla trying to run the Gaza blockade, which left eight Turks and a Turkish-American dead. Turkey rejected a United Nations report that found the blockade legal but said Israel had used excessive force. Iran has been estranged from the United States since the Islamic Revolution more than 30 years ago, and Mr. Ahmadinejad’s speech has become something of a signature event at the annual session. There were no surprises in either his criticisms or his singular interpretation of world events. As he has done in previous speeches, Mr. Ahmadinejad raised questions about the Holocaust, blaming the West for using it as an excuse for unwavering support for Israel and for the oppression of the Palestinian people. “They threaten anyone who questions the Holocaust and Sept. 11 with sanctions and military action?” he said. By the time he got to that line in his 30-minute speech, the low-level American and European diplomats who had been there were no longer around. The United States delegation was the first to leave when Mr. Ahmadinejad referred to the Sept. 11 attacks as “mysterious” and suggested that the decision to kill Bin Laden, instead of bringing him to trial, was intended to bury the truth of who sent the planes to attack New York and Washington. “Is there any classified material secret that must remain a secret?” he said. After the Europeans walked out, the hall, not terribly full in the first place, was mostly empty. Oddly, King Hamad bin Isa al-Khalifa of Bahrain, whose government has repeatedly blamed Iran rather than domestic ills for inflaming the Shiite population there, stuck around. The United States quickly condemned the speech, as did many other Western governments and nongovernmental organizations. “Mr. Ahmadinejad had a chance to address his own people’s aspirations for freedom and dignity, but instead he again turned to abhorrent anti-Semitic slurs and despicable conspiracy theories,” said Mark Kornblau, the spokesman for the United States Mission to the United Nations. The Iranian leader, whose previous visits to New York have been contentious, generated less interest this year. Though he did inspire protests outside the United Nations and his Midtown Manhattan hotel, his power clashes at home with Iran’s supreme leader, Ayatollah Ali Khamenei, have cast some doubt over the extent of his authority. That doubt, in turn, has made him personally a less threatening figure, despite significant international concerns about important issues like the possibility that Iran is developing nuclear weapons. TEHRAN, Iran — Iran has moved some of its centrifuges to an underground uranium enrichment site that offers better protection from possible airstrikes, the country’s vice president said Monday. Engineers are “hard at work” preparing the facility in Fordo, which is carved into a mountain to protect it against possible attacks, to house the centrifuges, Fereidoun Abbasi was quoted as saying by state TV. Abbasi, who is also Iran’s nuclear chief, did not say how many centrifuges have been moved to Fordo nor whether the machines installed are the new, more efficient centrifuges Iran has promised or the old IR-1 types. He did specify that the centrifuges will be taken to Fordo from Iran’s main uranium enrichment facility in Natanz, central Iran. Uranium enrichment lies at the heart of Iran’s dispute with the West, a technology that can be used to produce nuclear fuel or materials for atomic bombs. The United States and some of its allies accuse Iran of using its civilian nuclear program as a cover to develop atomic weapons. Iran has denied the charges, saying its nuclear program is peaceful and aimed at generating electricity, not nuclear weapons. On Monday, U.S. State Department spokeswoman Victoria Nuland said the new program raises suspicions. Iran has been enriching uranium to less than 5 percent for years, but it began to further enrich its uranium stockpile to nearly 20 percent as of February 2010, saying it needs the higher grade material to produce fuel for a Tehran reactor that makes medical radioisotopes needed for cancer patients. Weapons-grade uranium is usually about 90 percent enriched. Iran’s higher-grade enrichment efforts are of particular concern to the West because uranium at 20 percent enrichment can be converted into fissile material for a nuclear warhead much more quickly than that at 3.5 percent. Abbasi said Tehran was in no rush to install the centrifuges and that experts are observing all technical standards. In June, Abbasi said Iran plans to triple its output of the 20 percent enriched uranium and move the entire program to the new, secretly-built Fordo facility, just north of the holy city of Qom in central Iran. The bunker facility is to house approximately 3,000 centrifuges. Preparations have been well under way for months now, with electrical wiring, pipe work and other preliminary installations completed in recent weeks. The West argues that it revealed the existence of Fordo for the first time Sept. 25, 2009 at the G-20 meeting in Pittsburgh but Iran says it did nothing wrong and that it informed the U.N. nuclear watchdog agency, the International Atomic Energy Agency, in a Sept. 21 letter, at least two years before the plant would be operational.